A little over a year ago, I was quite excited about David Arner's piano trio with Michael Bisio and Jay Rosen, called "Out In The Open". 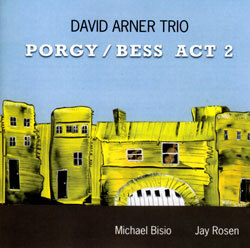 The same trio released "Porgy/Bess, Act 1" and now "Porgy/Bess Act 2", also on CIMP. The trio's take on the Gershwin classic is everything you could expect from Arner's light and precise touch, combined with an adventurous and abstract spirit. I must admit that I am not too familiar with the original music, but that's not a real handicap to enjoy the music on this album. 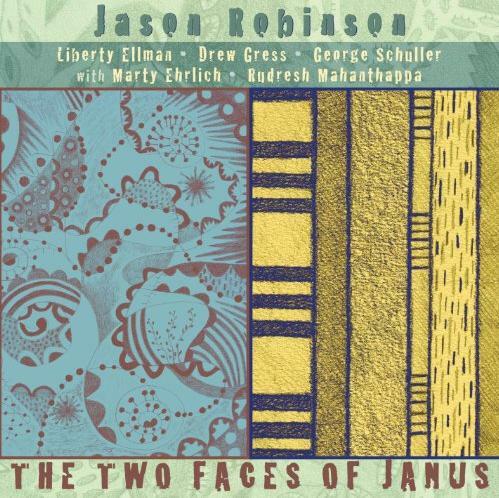 The themes and harmonics pierce through the improvisations once in a while, and you can recognise the stylistic elements of the mid-30s jazz, yet in order to capture the drama and the emotional levels more fully, the "soul" of the opera if you want, the trio uses the more dynamic grammar of today's jazz, and then pushing even that a little further into more expressive territories. 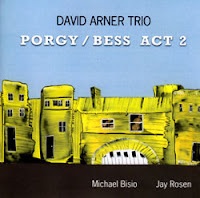 Bisio and Rosen are the ideal partners for Arner's now thundering, then sensitive piano-playing, often quite functional, with some though not much solo time, but with Bisio coming more to the front on the last track, "Lament", a duet between arco bass and piano. Reverent for the original, yet utterly modern. 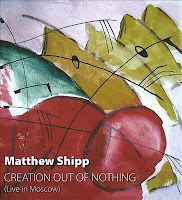 Matthew Shipp's solo album "Creation Out Of Nothing", is a little bit in the same sphere as Arner's, bringing solo improvisations in his own typical and creative way, but with standards popping up every so often, including "Summertime", "On Green Dolphin Street", "Yesterday's", in between his introspective and abstract musings, full of a strange angular lyricism, of the kind that does not flow like Jarrett's, but one that takes strange turns and even less expected returns to the core theme, but all in one movement, as if it was preconceived. While he is playing, you hear his mind working with the chords and the progress, playing games with the structure and tackling his own ideas sometimes in the process (but I might be imagining this as I can't read the guy's mind, obviously). He is at his best when he does not seem to think (and again I may be mistaken), when his lyricism flows out of pure sentiment and heartfelt emotions. Shipp is a great improviser, with incredible musicianship and command of his instrument, yet his improvisations on this album often lack the necessary tension to keep the listener's attention with the music. 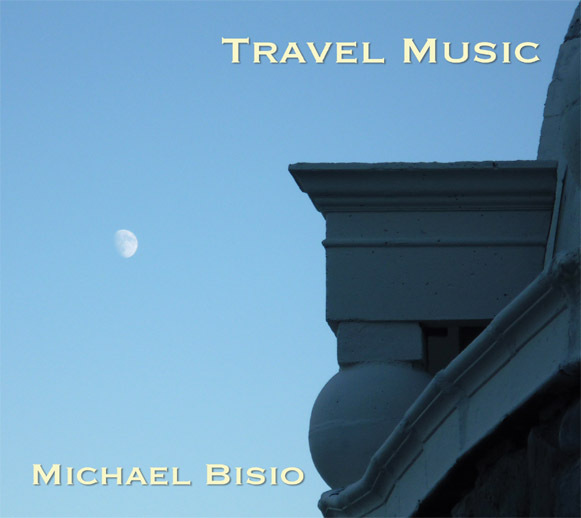 His best pieces are his own compositions : "Patmos", "Gammay Ray", "Module" and "Blue In Orion", four compositions that already figured on "One", and "Wholetone", a new composition that will also figure on his just to be released double-CD with Michael Bisio and Whit Dickey. 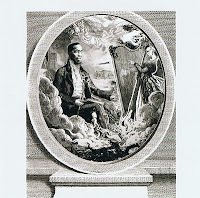 His own creations are a lot stronger and more powerful than his elaborations on the standards. Russian pianist Alexey Lapin surprised me several times last years by his own playing and by the music of the various bands he played with : rich in scope, plenty of new musical ideas and with a willingness to explore with vision. Check him out via the search engine at the top right of this blog. We find him now on a solo performance gig, playing fourteen pieces that range from the expressionist modern jazz to the avant-garde use of extended techniques. 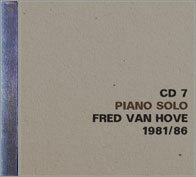 Even when he plays his piano in the conventional manner (using the keys unchanged), his improvisations are abstract, expansive and openended. He surely deserves much more attention. A true artist. 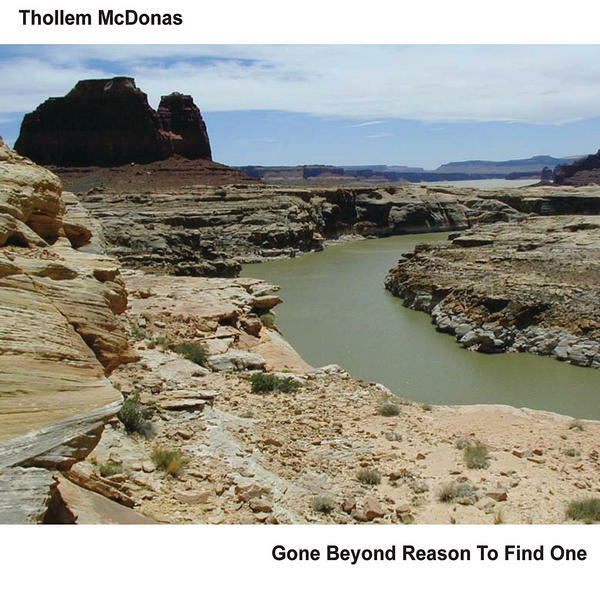 Another one of these underrecognised piano greats is Thollem McDonas, equally uncompromising, equally visionary. 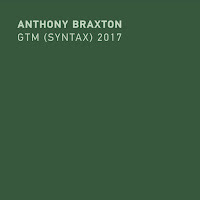 This solo album consists of two long and one short piece, full of thundering and dense playing, alternated with moments of silence and sparse, barely audible notes puncturing the emptiness around him. 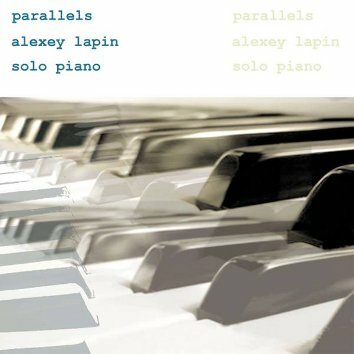 As a modern pianist, extended techniques are a must, always used functionally, as in the second half of the first piece, playing in counterpoint with his regular playing. If anything, he is a master of variation, tension, changes in intensity shifting from exuberant expressionism to more intimate finesse. 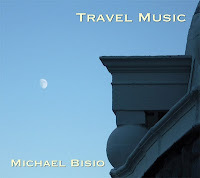 A cold rainey night, with small snow flakes falling hesitatingly from the sky, and the best remedy for warming you up is this intimate solo bass album by Michael Bisio. I have written plenty of reviews of music with the bassist as part of the band, or even as leader of the band, but to my knowledge this is his first solo album. Bisio is himself : adventurous, yet soulful, taking his time to explore, avoiding shock elements or cheap effects, while at the same time avoiding the beaten track. Cautious precision, building his music around the empty space, and going almost in a dialogue with it, avoiding density or fast runs, but giving the strings the time to resonate in the full time it takes for the warm sound to gradually subside, to be followed by its successor, building harmonic sequences and some tension, just enough to keep the attention going, but not too much so that warmth is preserved. 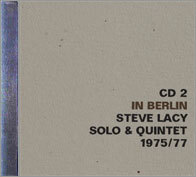 His "hit single" - "Nitro, Don't Leave Home Without It" also figures on the album as a very long an intense arco piece, the summit of the album together with "Oil", a very deep and slow bowed improvisation. Even when playing solo, Bisio is self-effacing. His personality, his technique, his skills are all there, but fully in the service of the music, real music then, with a depth that transcends the physical aspect of sound : it is so full of deep "human-ness". An absolute joy to hear, in many respects. Listen and buy from the artist's website. At its high points, Morning Glory is no less a musical achievement than the greatest of the great piano trios in our beloved music. 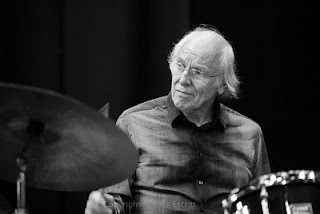 Two that come to mind are the The Lowell Davidison Trio and Bill Evan's Sunday at the Village Vanguard. At their best Agusti Fernández, Barry Guy and Ramón López continue the larger, transcendent conversation begun by the players on those canonical recordings and could, for approximation reasons, be likened to a combination of the two. Though few and far between, the low points on Morning Glory, most of which are on the live bonus CD, provoke the same shudder as the triumphant positivism of Bruce Hornsby. If you've ever come across a clump of brown sugar in your morning muffin that didn't get totally blended in, you know what I mean--hardly a disaster, but enough of an issue to keep Morning Glory from the full five stars. Such are the wages of tonality and song. Fernandez traffics in both. Though fluent in a harmonic tartness that reminds me an awful lot of Lowell Davidson (compare Davidson's Ad Hoc with Aurora on Disc two) Fernández tends to disarm rather than agitate — that's where the comparison to Davidson falls short and Bill Evans comes in. 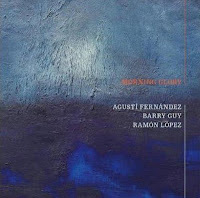 A “Latin” rather than “jazz” feel is Fernández's gestalt, abounding with earnest, melodic sincerity that confounds much in the same way paintings by Titan or Raphael don't connect as much as they let you know what you don't know (cf. Oberg's accounting office). In and of themselves, Fernández's themes and flourishes steer Morning Glory dangerously close to Windham Hill territory, let alone ECM. Fortunately, Fernandez is never given that chance with the ever vigilant Guy and completely capable López on the case. As with all the Maya releases (and I have most of them) the embodied energy, care to detail and depth of musical statement is so evident, so resounding that I can't help but seize up when it comes to review them. Guy's contributions to music and the bass are so deep, it's hard not to sound like Fred Willard's character in Best in Show when talking about them. Can Barry Guy make an ugly inappropriate sound on the bass or does audible genius squirt out every time he touches the instrument? 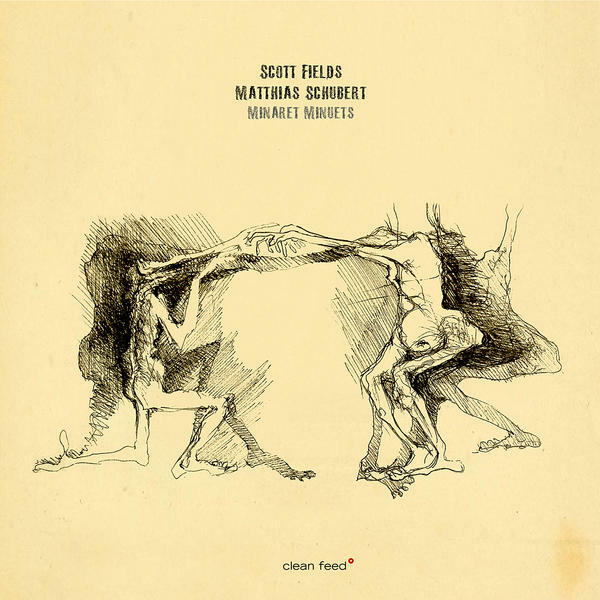 Even if he has never once listened to Scott Lafaro's with Bill Evans (or Eddie Gomez's with Davidson), Guy continues to write the history of the bass in music in real time, in the same aesthetic trajectory and with the same remarkable fervor. We all know that with a lesser pianist Sunday at the Village Vanguard would universally be understood as a “bass record.” The same is true for Morning Glory. In Guy's case, his musical dominion extends back to baroque music. Guy's bass solo at the beginning of Don Miguel draws liberally from a 400-year-old harmonic well, without sounding like the intro to Roundabout. And yet, for as inventive as his reading is of that tradition, it's Guy the improviser we salute and must unanimously acknowledge as a fully realized living master of the Bass. This recording is but one reason. him for good. It's not like López is faceless in and amongst it all, he's just not writ quite as large. Here's hoping there is at least as much economic as there is aesthetic incentive for this group to continue. If there is, we'll all be the richer. No doubt Spain's number one piano player in jazz is Agustí Fernández, whose playing spans the history of music, from classical over traditional jazz to avant-garde. 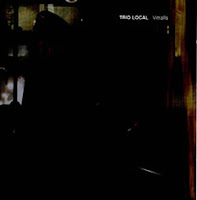 Just to show the pianist's breadth, I confront this very accessible and almost Bill Evanesque album with Trio Local, reviewed below, bringing music totally out of the comfort zone of every listener, yet equally coherent as a trio performance. 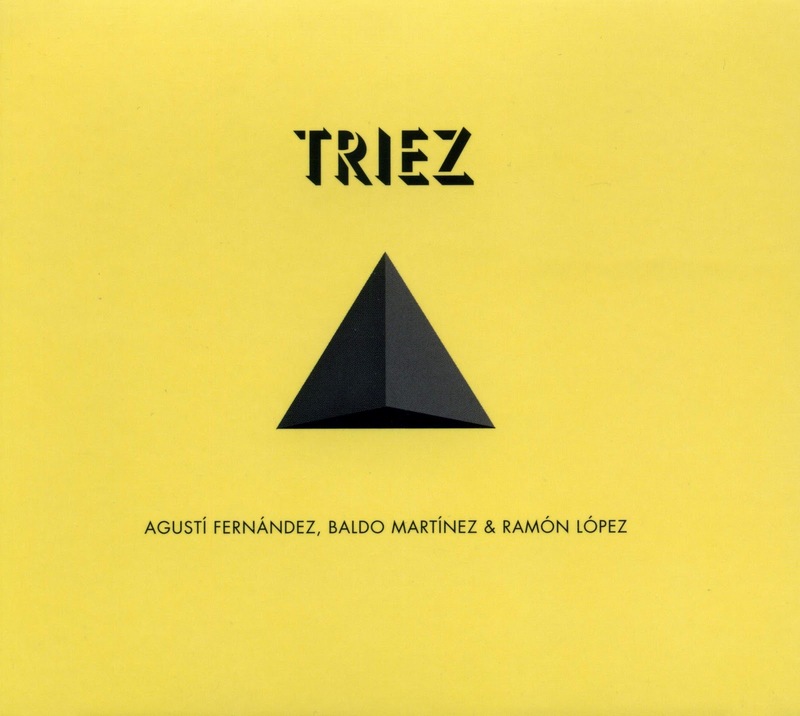 This album's title is a kind of joke, referring to the word "trio", but also the suffixes of the three musicians' names, ending with "ez", originally meaning "son of" in Spanish. At the same time, it also means that they are "sons of the trio". What you get on this album is Bill Evans, some Paul Bley, not much of Cecil Taylor. But then again, it's the trio's music, with broad references to music outside jazz : Spanish music, African music, Indian music. And of course, you also get a great cover of "Lonely Woman", Ornette Coleman's musical gem and gift to humanity, and not Fernández's first try at it, but equally impressive. The music is improvised around clear themes and structures, often with great unison moments, and it is all about the joy of making music (and there is lots of fun to be heard), but also of joint introspection and meditation. And the remarkable thing is that it all quite fits well together. 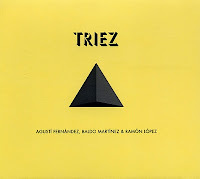 The more hermetic Vitralls brings us Agustí Fernández on piano, Joan Saura on electronics and Liba Villavecchia on soprano and tenor sax. 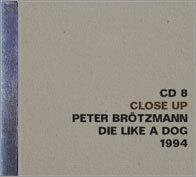 The album brings one long piece of forty-eight minutes of sound textures built around silence, lots of silence, and dark as the cover suggests. The title means "stained glass", as the kind that you see in ancient cathedrals, with barely any light passing through the centuries of darkened glass, reinforcing the uncanny atmosphere of mysticism rather than enlightening the building's visitors. The three musicians create an incredible level of tension and interaction with a total lack of lyricism, but more expressive than if it had, but for the end of the long live improvisation, when the notes of the sax seem to find a level of continuity and flow, but the electronics drag this sign of hope down into the deeper and darker corners with no light has a chance to survive. And Fernández in all this? He lets you hear the sounds of the piano that were rarely heard: as percussion instrument, as screeching background clatter, as thunder without lightning. I was quite thrilled by "In Former Times", the second album by "Memorize The Sky", for its uncompromising nature and their adventurous take on the sax trio, a journey they take totally over the edge in "Creeks". The band is Matt Bauder on reeds, Zach Wallace on bass and Aaron Siegel on percussion. And they add some electronics. 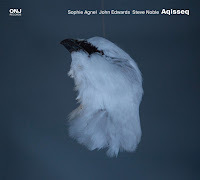 Strangely enough, the album reminds me of John Zorn's "O'o" because of its fresh jungle and bird sounds, with one big difference, what Zorn does with melody and rhythm and rich instrumentation, is done here with sonic explorations and timbre and instrumental minimalism. Forget about melody, forget about structure, it is all about sound, more often than not impossible to describe its origin, light, ever so light. You hear bells, and prolonged tones, and some beats, and a whistling sound, coming and going, built around empty space, reacting to one another, like birds, or not at all, like water dripping from leaves. Very few people would call this music, yet these very few are right : despite its lack of melody and patterns, it is beautiful, pure and fragile : it is the kind of thing you can do with sound, weave textures light like a spider's web, full of glistening dew in the morning sun. It sounds like the new beginning of music. 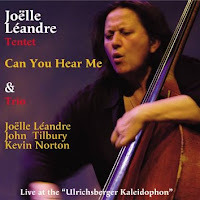 Another treat from Joëlle Léandre, her 60th birthday gift to music lovers, two CDs in one set, with two totally different approaches, showing the various sides of the artist, and both equally compelling. 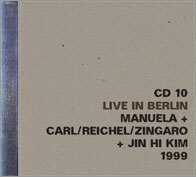 Both were also recorded live on two consecutive nights in Ulrichsberg, Austria. The first one is a tentet recording, a piece which made Léandre quite nervous because she had not composed for a large ensemble for quite a while, being better known as a small ensemble improviser first and foremost. 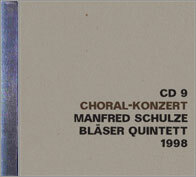 The fifty-three minute long piece is like a suite, with a string quartet consisting of Thomas Wally on violin, Elaine Koene on viola, Melissa Coleman-Zielasko on cello, and Léandre on bass, with a horn section of Sussana Gartmayer on alto saxophone and bass clarinet, Boris Hauf on tenor saxophone and clarinet; Lorenz Raab on trumpet, Bert Mutter on trombone, and completed with Burkhard Stangl on electric guitar and Kevin Norton on vibes and percussion. But it is one band in truth when you hear them. The music evolves from modern classical to avant-garde with rock elements, free jazz moments, strange atmospheres with spoken words overlapping each other, dramatic tension, the intensity of free improvisation, with changing moods and modes, in a tribute to her masters and role models: Morton Feldman, John Cage. The central moments of the composition please me the most, with the arco bass evolving into a menacing classical chamber string quartet, almost Michael Nyman-like, leading to unison trumpet and sax, hesitatingly, vulnerable, abruptly encountering a walking bass and jazz drums, supported by a great string cadence, evolving in absolute free expression of the whole tentet, cautiously, respectfully, then arco bass, with Léandre adding her angry poetry, jazz power and silent whispers. 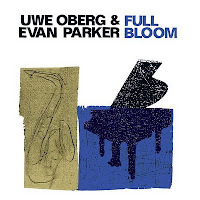 In sum, the composition brings a huge wealth of ideas, a strange compilation of instrumentation and styles without actually merging them, with accuracy and extreme discipline to keep things light, without overdoing it, a lifetime celebration of music. And good as the tentet album may be, the trio improvisation is absolutely stunning, with Léandre on double bass, John Tilbury on piano, and Kevin Norton on vibes and percussion. The music is minimalist to say the least, weaving the lightest textures out of sparse sounds, creating an unreal, primeval atmosphere of incredible purity, where sounds are dissociated from form, yet combined they offer the organic lyricism of life itself, before it actually takes shape. This doesn't mean the music is naïve or friendly, no, it can be harsh and dramatic, but almost without consequence, just as sound, arising and evaporating, leaving an imprint as context for the next sound, equally beautiful by itself, equally powerful, ..... fragile beauty. 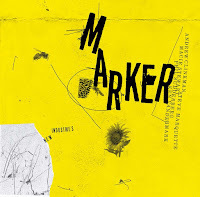 Léandre has sometimes referred to herself and her instrument as the farmer using her tractor, but this music is among the most sensitive she has created, surely as the result of hard work and lots of sweat, yet the album shows you the artist as she learned to be from the start: "Be yourself! Do it and go!". She did exactly that. This is her music. 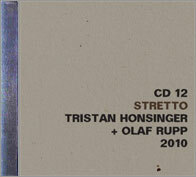 This is her musical journey compressed into two CDs. The second CD alone is worth the purchase. The first CD alone is worth the purchase. 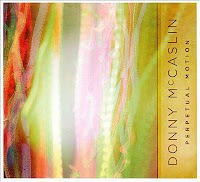 Known for his work in Dave Douglas Quintet and Maria Schneider Orchestra, Donny McCaslin’s ninth solo release, “Perpetual Motion,” is a funkafied, spacey, electronic rock-jazz masterpiece. McCaslin’s playing is virtuosic, and his tight rhythm section provides the canvas for explorative improvisation from every member of the band. Adam Benjamin is a mad scientist. If you’re not hip to his playing in some of the best bands in modern jazz, go check out Kneebody and Dave Douglas’ Keystone group immediately. On this record, his Rhodes and piano work provides the harmonic and textural support for McCaslin’s solos as well as brings life to each composition. Tim Lefebvre, Uri Caine, Antonio Sanchez and Mark Guiliana each have a unique quality to their playing, and McCaslin has employed their talents marvelously. 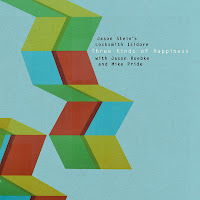 Each track has something different to offer, while at the same time the whole album retains a specific musical message. This album is a total homerun, and I would obviously recommend it to any fans of jazz and/or fusion. I’ve been playing this album very regularly for the last couple of weeks, and I will not be stopping any time soon. Listen and download from Greenleafmusic. Japan's Emergency! is a powerful jazz quartet whose dual guitar attack of Otomo Yoshihide and Ryoichi Saito is irreverent and irresistible. Rounding out the group is double bassist Hiroaki Mizutani and drummer Yasuhiro Yoshigaki. 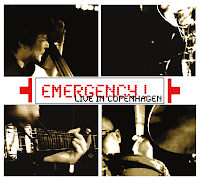 Apparently the group does not play outside of Japan all that often, which makes "Live in Copenhagen" on JVTlanDT even more of a treat for purveyors of cathartic rock inspired jazz. The opening song, "Re-Baptizum", slowly unfolds from a seemingly unscripted start while the electric guitars pierce and puncture the undulating rhythmic ground work. When the drums pick up with a uptempo beat, the guitars push and prod each other deeper into the distorted landscape. Sonic images of deep fissures, burnt hills, twisted charred remains, and the grotesque beauty of smoldering ruins follow. 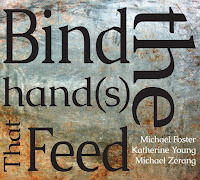 The start of "Sing Sing Sing" channels Powertools era Bill Frisell with its simple lines cloaked in feedback and dissonances. The melody is rendered faithfully and then it all slips into slashing and burning. After a liberating improv, the quartet brings back the melody, and by the end of this quarter hour conflagration, lands us on the head, to the appreciative applause of the audience. 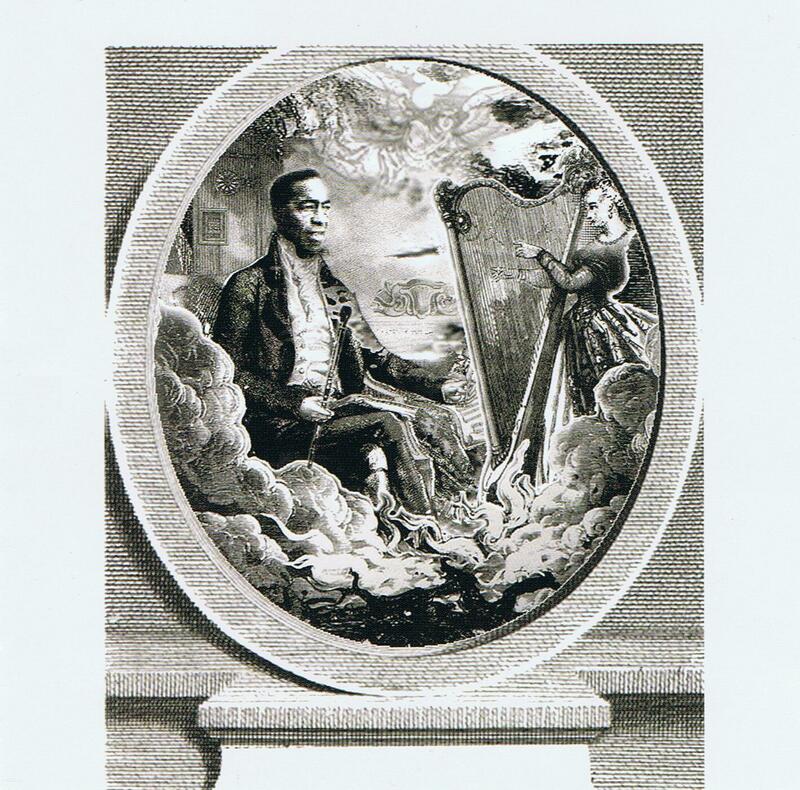 Mingus' "Fables of Faubus" is also freely interpreted. The original brooding bass melody breaks out into more experimental excursions, while the guitars play off each other, crashing chords and weaving around the instantly recognizable melody. Rahsaan Roland Kirk's "The Inflated Tear" closes out the album. It begins with the edgily played melancholic melody and slowly devolves into a long feedback laden free-improv soundscape. Eventually the group jumps back into the melody line, but that too rapidly decomposes into a manic noise jam. This album, with its three of its four extended pieces covers, keeps the spirit of the original tunes but brings to them an updated sonic palette. There are moments reminiscent of Jerry Granelli's UFB, moments when I think of Joachim Kuhn's Let's Be Generous and moments when I find it's best not to think at all. 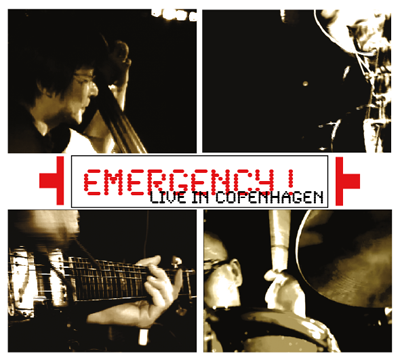 The energy emitting from Emergency! 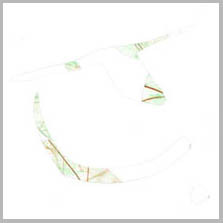 is invigorating, original and spirited. 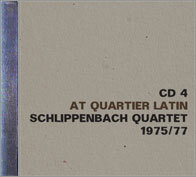 Some free jazz legacy music for freedom in Egypt. Jubilate! This is anthill music. Yes, that's what I said, anthill music, and you'd be right to ask what Tony Malaby's Tamarindo and anthills have in common. Well, have you ever spent a lovely afternoon lazing around having a picnic somewhere out in the countryside? And if so maybe you lounged around after eating, staring into the grass or field around you, and as time passes you notice you're sitting on (or near an anthill). Gradually you become engrossed and start to watch those ants running around (probably picking up your left-overs) in what seems utter chaos. Little by little as you watch you notice patterns forming, ants crossing paths without ever colliding, never an argument (as ants don't have road rage), so much happening, so busy. At times the ant rush hour slows only to build up again as other ants appear communicating something to their comrades which then renews the energetic bustle. They carry on their tasks in a way which become almost an art form, and what may seemed disorganised at first starts to take on form and order. And that is why Tamarindo is anthill music. It's very much a music which buzzes with a frenetic pulse often building from nothing, each player seemingly takes his own direction and yet as the music advances you realise that everybody is following everyone else. It may sound like chaos to someone walking into the room, but when you're 'in' the music it's very exciting, full of energy, and yet with so much going on around you it's never crowded. In fact there's so much here to discover that you will certainly have to listen many times before really knowing the music. It would be difficult (and maybe pointless) to single out different tracks as this album could be heard as a suite, and even if the tracks do have names and approximative themes that appear when needed (i.e. not always sax and trumpet, and not always as openings), they seem less important as it's more about capturing the moment. There are often quite moments of interplay such as on 'Death Rattle', 'Hibiscus' and in 'Jack the Hat', but much of this music boils away with fantastic interplay (as always) between these superb musicians - Tony Malaby (tenor and soprano sax), William Parker (bass), inspirational drummer Nasheet Waits and of course guest trumpeter Wadada Leo Smith. The only odd thing is that the CD fades on the last track, perhaps they couldn't stop, or was there just too much good music to fit onto this release? Tags for this excellent release could be - Mujician, Ornette's Science Fiction, The Thing, Vandermark 5, Supersilent (an acoustic version .... of course). This may be one of those self-serving awards, created just for the organisers to get some wider - and free - exposure thanks to the recipients of the award, who are all too eager to let their sense of pride and ego do the promotion. "In 2001, The College Entrance Examination Board found those students involved with music appreciation outscored their counterparts by 63 points on the verbal portion of the examination and 44 points higher on mathematics. These types of statistics should be kept in the mind while our nation’s legislative body decides whether or not to strengthen the arts education curriculum within our federal educational policy. As music and arts education organizations, professionals and advocates rally to support their causes in education and elsewhere, we at eCollegeFinder want to support their causes by giving voice to the best on the Internet. The Top 75 Music & Arts Enthusiasts award recognizes the websites that best represent the voice of music and arts in both culture and education"
In any case, we trust the value of the award and thank the organisers for it. Music and arts cannot be promoted enough, especially the most adventurous ones. While in Munich, Germany, ECM celebrates its 40th anniversary with the publication of a great catalogue in Japan, up in Berlin, in the north of the country, FMP (Free Music Produktion), equally celebrates its 40th anniversary with an impressive 3.5 kg 12 CD box and a 218 page book. If ECM stands at the cradle of sophisticated post-bop, with impressionistic and often sentimental leanings, with music that often appeals to broader audiences, FMP stands for the other bifurcation in the jazz road, the one of free improvisation, often wild and harsh and uncompromising, delving deep into the expressive possibilities of sound, be it by solo musicians or improvising big bands such as the Globe Unity Orchestra, often more authentic, more revolutionary in nature than the colleagues of the south. If ECM innovates within our sonic comfort zone, FMP innovates outside of our sonic comfort zones. 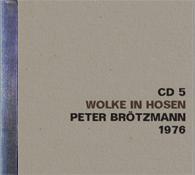 Of course, like every comparison, this one is also flawed, as many musicians appear on both labels: Dave Holland, Arild Andersen, Marion Brown, Jon Christensen, Marylin Crispell, ... and this is just the beginning of the alphabet. 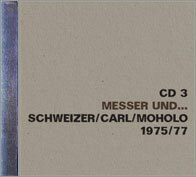 But FMP will carve out its position in music history with musicians such as the great Germans Peter Brötzmann, Alexander von Schlippenbach, Rüdiger Carl, Urs Leimgruber, Ulrich Gumpert, Günter "Baby" Sommers, Peter Kowald, at that time already building bridges between East and West Berlin, through music, creating the European - German - side of jazz and free improvisation : a little less entertaining than American jazz, more cerebral, angrier, dissatisfied, but exploring and exploring for new sounds for a new world. 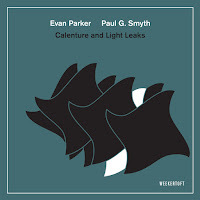 They built bridges to the other musicians in Europe and in the US, with names such as Evan Parker, Han Bennink, Micha Mengelberg, Fred Van Hove, Steve Lacy, William Parker, Butch Morris, Bill Dixon, Cecil Taylor, ... joining ideas, making them bounce and interact in new creative avenues. The book describes it all : the history, an overview of all concerts and workshops, the entire catalogue with cover art, musicians and recording dates, ... a real treasure trove for the fan. 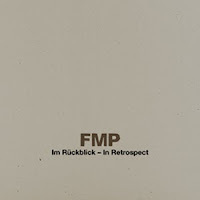 The box comes with 12 CDs, of which most have been released before with the exception of CD1, CD 8, CD 9, CD 10, CD 11 and CD 12, and the entire collection gives a great idea of the span of the FMP catalogue. 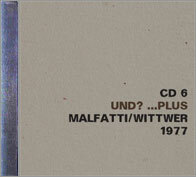 I believe the number of boxes was limited to 1,000 copies, but all CDs can be purchased separately. And trust me, many - if not all - of these CDs are must-haves. 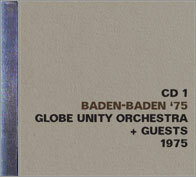 The ones I enjoyed the most are Globe Unity Orchestra, Peter Kowald solo, Schlippenbach Quartet, Die Like A Dog, Steve Lacy solo. I stumbled upon this album by sheer chance late this past fall. 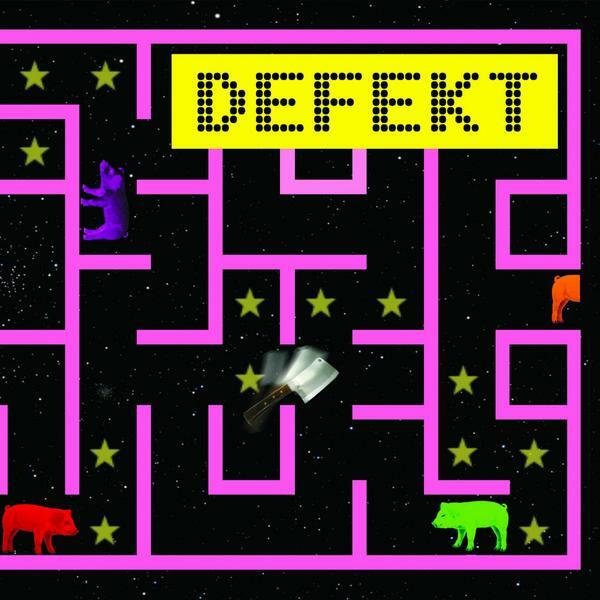 I think it was a case of judging a record by it's cover -- the mish mash of 80's video game archetypes, pigs and a meat cleaver was intriguing. It turned out that this Scandanavian quartet of electric guitar, sax, acoustic bass, drums and various electronics made some pretty interesting music. 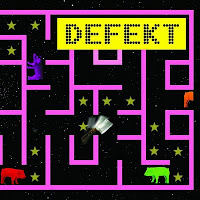 The songs generally featured snaking melodies twisting and turning their way around, kind of like the little sprites on their album cover's maze. While incorporating some electronics into their sound, the music skews in a modern jazz way. Adopting a somewhat linear approach to composition, the hummable melodies evolve over time into more and more knotty entities. Counter melodies and unison lines abound and the electronic treatments and sounds are used effectively to highlight passages or ramp up the energy. While there is a great deal of composition, there is also a spirit of freedom and improvisation, including moments of free playing. 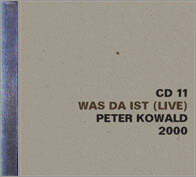 Most of the tracks feature tight rhythms between the drum and bass. 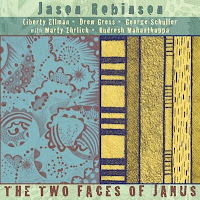 The guitar and sax provide passages of melodic interplay and inspired solos that mix just the right amount of rock abandon with technical know how. One track that sticks out is 'Magrathea', a solemn affair in a mix of tunes that are often upbeat and bright. The plodding rhythm supports a mournful electronically enhanced sax spinning a melody that, if I have my title reference right, could be a soundtrack to new designer worlds being constructed. This is a light, enjoyable album, easy to digest, but not without quirk and originality. Available through eMusic or CDBaby. Now that Virgin Galactic is booking flights into space, Coleman doesn't sound so “space aged” any more. 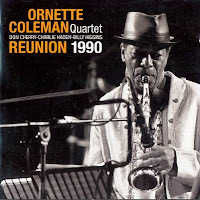 In fact, with Reunion 1990, The Ornette Coleman Quartet inherits the earth—and that was 21 years ago. Since 1990 Coleman released Tone Dialing and Sound Museum – Hidden Man and Three Women, two of my favorite recordings of all time by anyone, ever. The 90's were a good decade for Coleman and if you told me that the 90's was the future he began to remember on may 22nd, 1959 I'd believe you. The Shape of Jazz to Come. Coleman was right. Reunion, as you may have read in Burning Ambulance (for one) isn't for the audiophile--just the listener. Of course everyone plays great--one long shimmering virtuoso cadenza of glimmering excellence from beginning to end. Haden is a real stand out. His solos are fully realized pieces unto themselves, employing the full sonic spectrum of the instrument to the point where he even whips out ol' John Hardy. Ornette, then 60 years old, sounds like a glorious ad-mixture of Fred “Curley” Neal and Hakeem Olajuwon—elated and elastic yet strong and commanding. Same for Don Cherry and Billy Higgins who, on this outing, also fly at it full throttle, in a similar state of euphoria and grace. And why shouldn't they? They made it--in every sense of the term. 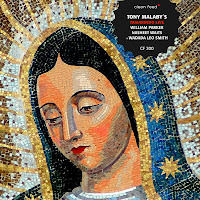 If you've ever cared about the music of Ornette Coleman (or Charley Haden, or Billy Higgins or Don Cherry) even a little, take out your credit card, buy this recording and pay that portion of your credit card bill. 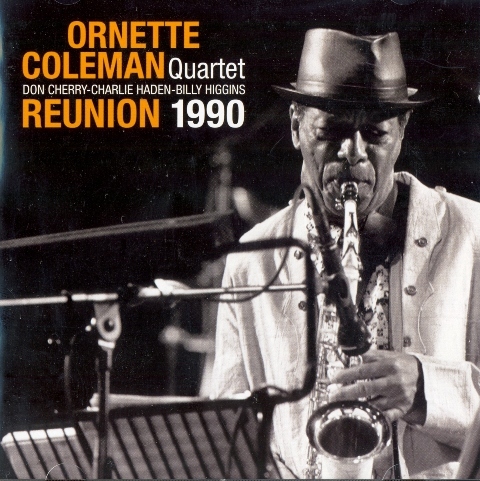 If you've never heard Ornette Coleman and you have come looking for a recommendation, you have found one. Start here and work backward. Even with 11 months to go in the year, I hereby confidently place Reunion squarely within my 2011 top ten.